Should you take care of laundry in-house or outsource to a laundry service? It’s a question we get asked about a lot here at Martin-Ray Laundry Systems. Obviously, you want to manage your laundry while still making sure your business — be it a hotel, medical facility, restaurant, or salon — is profitable. There’s a lot that goes into making the decision to outsource or stay in-house that depends heavily on your needs and your business. 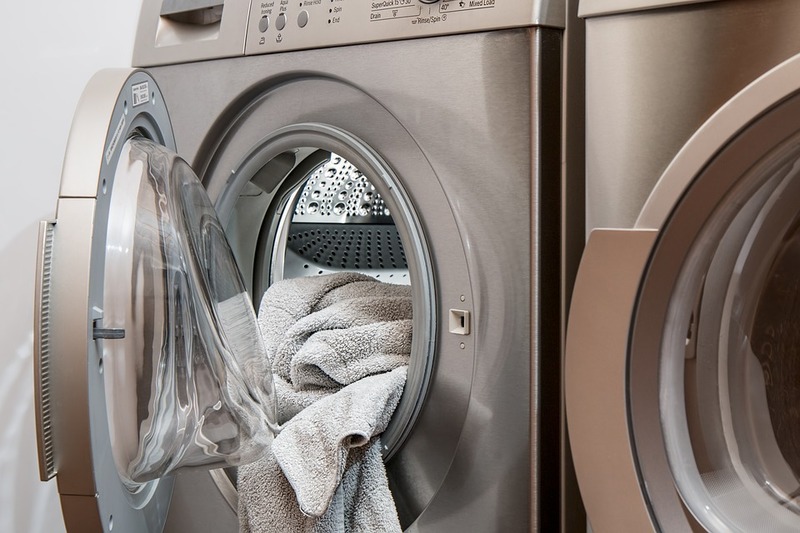 We’ve broken down some of the main selling points of both on-premise laundry equipment and outsourcing to help you out. There’s one clear, concise cost. For the majority of laundry services, you’ll get one clear bill and some have a pay-as-you-go agreement. This can be handy for budgeting purposes and tracking how much you really spend on laundry. When tackling laundry in-house, there can be multiple bills and expenses to track. You don’t have to hire and train additional employees. Handling laundry in-house may or may not require hiring. Paying for additional labor can be expensive and managing can be time-consuming. By outsourcing your laundry needs, that no longer falls on you or your business. You can use the space for other things. On-premise laundry rooms can take up a lot of space. By utilizing a laundry service, you can use that space as you see fit for your business. Many hotels may opt to add additional conference rooms or a fitness area, whereas a health facility may need more lab space or a cafeteria. However, keep in mind that additional services require employees, management, and other additional costs as well. You can focus on core competencies. It’s impossible to be good at everything and do everything efficiently. By outsourcing your laundry needs, you and your employees can focus on your areas of expertise without having to worry about laundry, which allows you to serve patrons better. Quick turnaround. Relying on other people can cause problems in every aspect of your business. They may get behind or scheduling issues may come up on either side. When your laundry is done in-house, you are only relying on yourself. That means less wait time for you and your customers, which in turn means increased efficiency and better customer service overall. Laundry is done and ready as you (and your patrons) need it, rather than having to go through a middle-man. Reduce the loss of inventory. Linens aren’t cheap. Many businesses, like hotels, fitness centers, and medical facilities, already deal with a lot of inventory loss due to guests and employees taking their linens (either accidentally or on purpose). The amount of loss is only worsened when you’re constantly having to shuffle towels, bedding, and other linens between your facility and the laundry service facility. The more back and forth that happens, the higher the chance that linens will get lost, forgotten, or mixed in with the laundry service’s other clients. Those replacement costs can quickly add up over time, most of which is likely to fall on your shoulders and pocketbook. By keeping laundry in-house, you can eliminate unnecessary back and forth and keep better track of your inventory. Increased safety. Maintaining safety throughout the laundry process can be especially important for healthcare, fire and rescue, and other businesses where employees and visitors can be exposed to chemicals, toxins, bodily fluids, and other potentially harmful materials. Using on-premise laundry equipment allows you to keep any potential risks isolated, making sure potentially harmful materials aren’t spread to another facility and more people. It also allows you to make sure everything (including the equipment) is cleaned to meet all safety and health requirements, such as the National Fire Protection Association’s code for laundering gear worn by firefighters, which the laundry service may not be as familiar with or account for in their facility. Outsourcing isn’t always as “convenient” or “hassle-free” as it seems. While outsourcing your laundry may seem to be an easy alternative, that isn’t always the case. You still need someone on staff in charge of being the liaison with your laundry service, serving as the main contact and handling the back and forth and payment. Someone also needs to be in charge of transportation to get the laundry to and from the outsourced facility or prepare the laundry for pick up and delivery. Once the clean laundry is back in your facility, someone also still has to take the time to keep and file any records/receipts and put the laundry away. In the long run, you may not be eliminating much “work” for your team overall. Consistency and quality. You never know what you’re going to get from a laundry service. Machines may be too hard on your linens, stains may not be removed properly, linens may get lost in the shuffle, and their machines may not be properly cleaned and maintained. Even when the laundry service is subpar, you are likely still on the hook to pay for it and fulfill your contract. When you control the process and wash settings in an on-premise facility, you’re guaranteed to have a consistent and quality wash on an ongoing basis. Potentially lower long-term costs. While on-premise laundry equipment requires a larger upfront cost with purchasing the equipment, you’ll likely see reduced costs long term. Laundry services pass along utility, chemical, repair, and staffing costs to their customers through their pricing, which means you’re still paying for many of the expenses you would if you handled laundry in your own facility but at an inflated cost set to make them a profit. Many laundry services are also based on a contract, which may mean you pay the same ongoing rate even if you have less laundry during a particular period.Plus, as noted above, you’ll likely have to replace linens more often due to loss, damage, and harsh chemicals used at these facilities. All things considered, you’ll likely to see a smaller cost per load in the long run when handling in-house. So what’s the right decision? That's a good question — and one there’s no one-size-fits-all answer. We recommend that you consider all the expenses, including labor costs, repair and replacement costs, loss prevention, and equipment financing options, as well business specifics, such as budget, amount of laundry generated, staffing, your customers, and scheduling. Don’t forget to think long-term as well and consider your business priorities and goals moving forward. How will outsourcing costs or on-premise costs fluctuate during an off-season or as your business expands? Our team of laundry experts is always here to discuss the ins and outs of on-premise laundry equipment vs. outsourcing. If you are interested in on-premise laundry equipment, check out the industries we serve and commercial laundry equipment available.